PITTSBURGH (AP) His team stuck on the fringe of the playoff race – not quite in it and not quite out of it – Pittsburgh Pirates general manager Neal Huntington spent the hours leading up to the trade deadline weighing both blowing up his roster and moving on to 2018 and making a splash in an effort to make inroads on the Chicago Cubs. 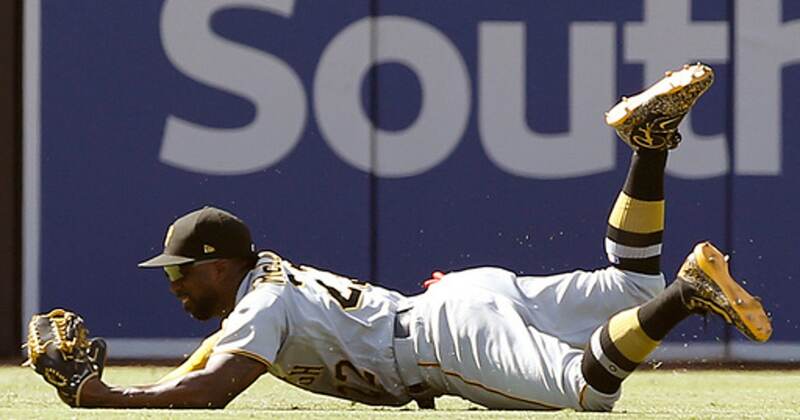 So Andrew McCutchen is still a Pirate. Gerrit Cole and Juan Nicasio too. Proof, Huntington said, the team remains optimistic it can make a run at the National League Central. Pittsburgh was off Monday and sits at 51-54 and 5+ games behind the Cubs heading into a week-long homestand against Cincinnati, San Diego and Detroit beginning on Tuesday. While Huntington said the club had ”lots of different discussions about a lot of different players” he declined to get into specifics. ”We still like the core of this club, like the depth and quality of rotation, depth and quality of position group,” Huntington said. ”I would anticipate we’ll make the decision when we feel it’s appropriate,” Huntington said. Huntington thanked Watson – who was a fixture in a setup role as the Pirates ripped off three straight postseason appearances from 2013-15 – for being a ”stable force” in Pittsburgh’s bullpen.